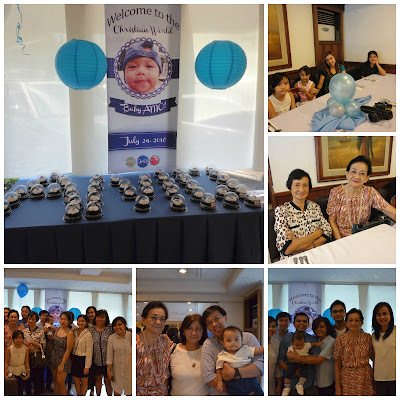 It was a very special day. 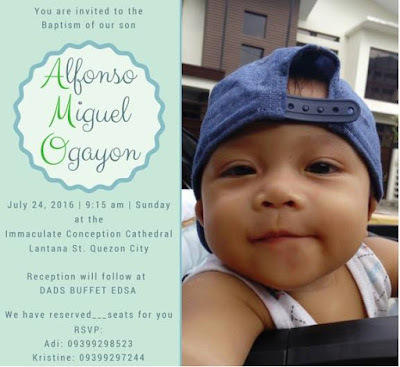 My grandson, Alfonso Miguel, a.k.a. 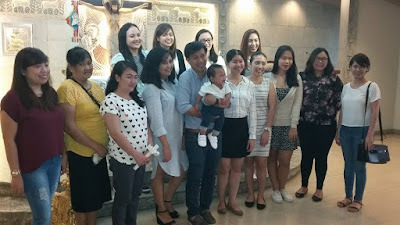 "Amo" was baptized. He was welcomed into the Christian world by family, friends, and 18 pairs of godparents. It took months of planning and saving up for the special occasion. Today I am sharing with you photos of this memorable event. I was the one who designed this invitation using a template from Canva. 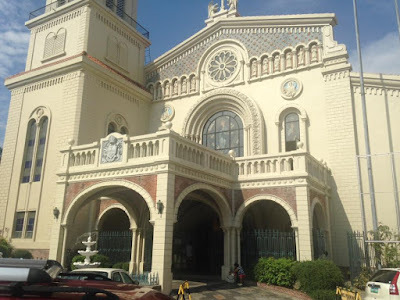 My daughter and her husband decided to have their son baptized at the Immaculate Conception Cathedral in Quezon City. 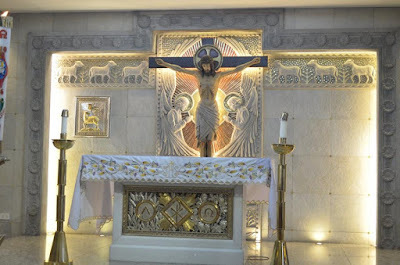 This was the same church where my daughter was baptized 30 years ago. The ceremony was held in a hall behind the main church, called the Baptism Chapel. 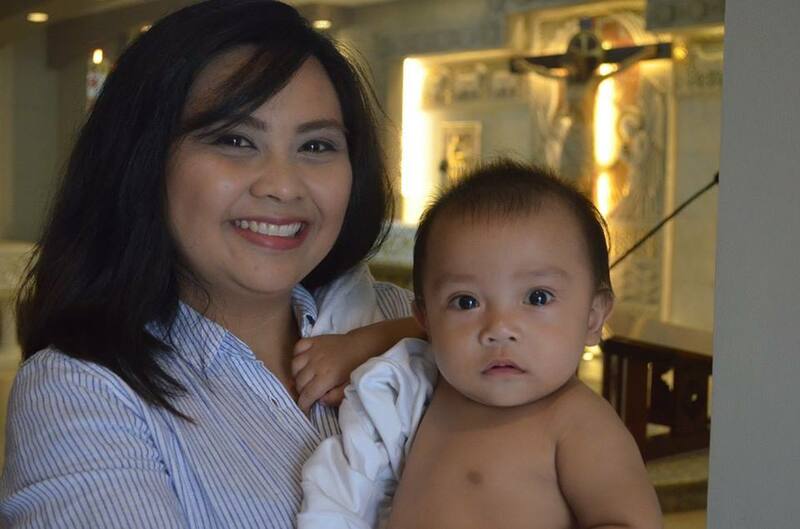 Children who were scheduled for baptism had to arrive wearing nothing but a diaper. Only a white blanket is allowed to keep the baby warm. The priest started the ceremony by asking all the godparents to form a line and take turns giving Amo their blessing by placing a sign of the cross on his forehead. This took a while to finish, considering he had 18 pairs of godparents! After all the godparents were done giving him blessings, it was time for the priest to proceed with the Baptism. The priest then instructs Amo's parents to put clothes on him, as he has already been cleansed of original sin. 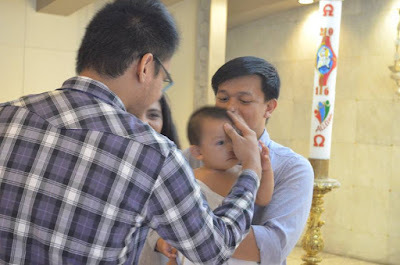 Amo's father, Adi then proceeds to light a candle from the main altar. 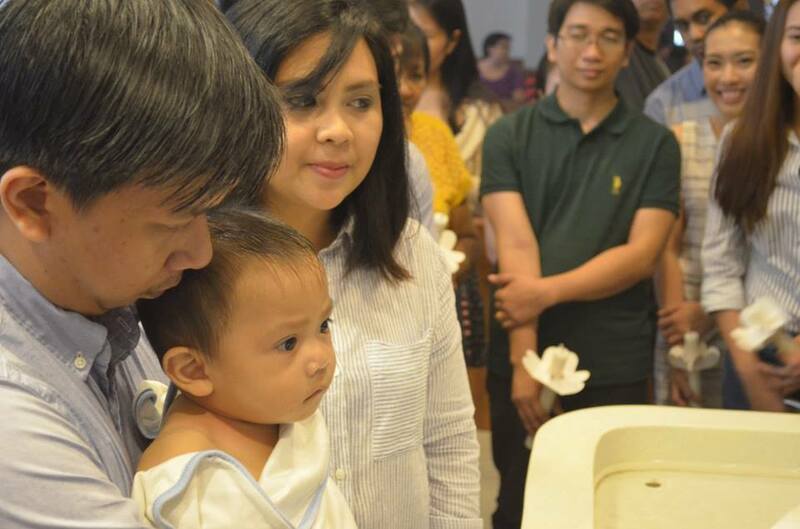 He passes it on to light the candles of the godparents as they renew their Baptism vows. 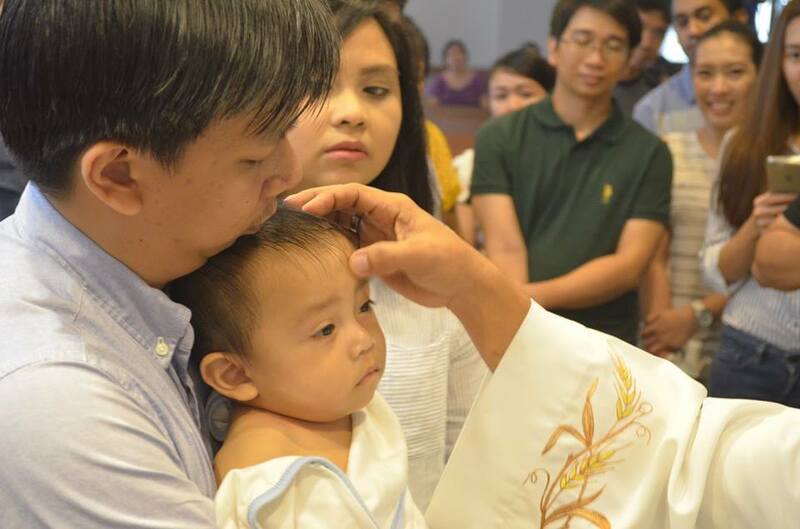 The priest gives his final blessing and says, "Welcome to the Christian world, Alfonso Miguel!" Applause and cheers filled the hall. Everyone was happy to be witness to this special occasion. 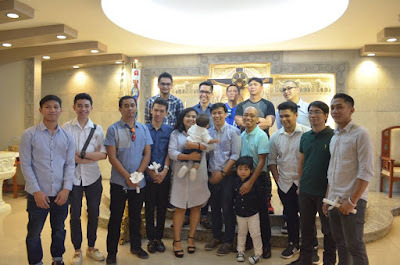 The Baptismal party was held at Dad's World Buffet. The function room was filled with over a hundred guests and well-wishers! Everyone had an awesome time and happy tummies. The food was superb! We got to sample dishes from all over the world. Of course, I can't go home without trying out the dessert bar! It was just sad that taking photos of the food was not allowed. No regrets though. 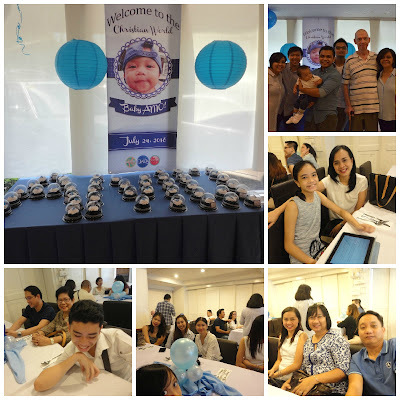 It was definitely a memorable event. 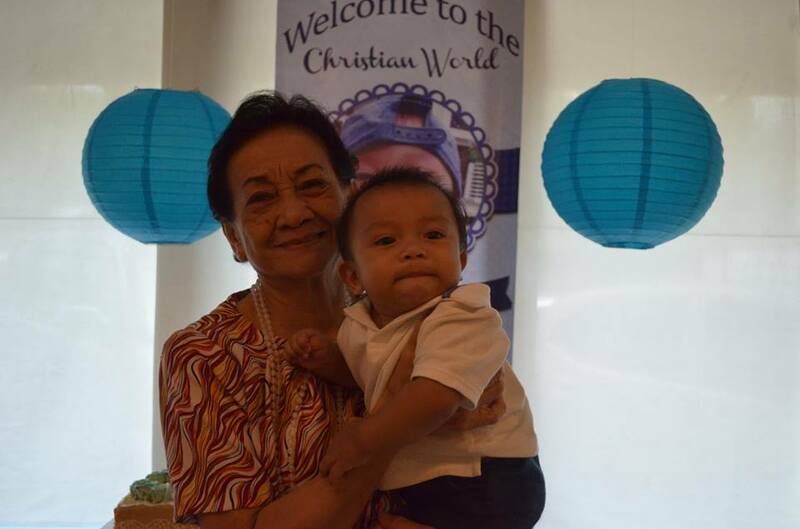 Of course, my mom would not end the day without a photo op with her great grandson. 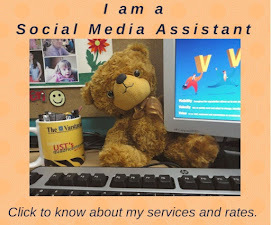 Thanks for spending time viewing our photos! Wishing you all a great week ahead. Welcome to the Christian world, Amo! May God keep you and guide you as you go through the journey of life.